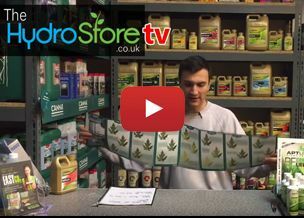 Hydro Store TV Episode 17 - Rock Nutrients Resonator Flowering Stimulator. Episode Seventeen of Hydro Store TV. 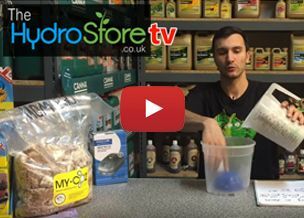 Hydro Store TV Episode 16 - Controlling Smells With Ona Gels And Ona Blocks. Episode Sixteen of Hydro Store TV. Hydro Store TV Episode 15 - Hermaphrodite Plants And Dutch Master Reverse. Episode Fifteen of Hydro Store TV. Hydro Store TV Episode 14 - pH Pens and Calibrating. Episode Fourteen of Hydro Store TV. Episode Thirteen of Hydro Store TV. 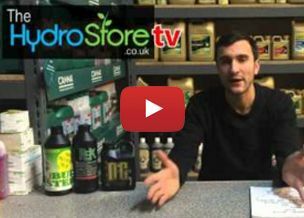 Episode Twelve of Hydro Store TV. Episode Eleven of Hydro Store TV. Episode Ten of Hydro Store TV. Episode Nine of Hydro Store TV. Episode Eight of Hydro Store TV. 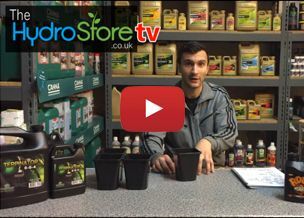 Hydro Store TV Episode 7 - What Are The Different Demands For Nutrients Through The Different Stages Of Growing. Episode Seven of Hydro Store TV. 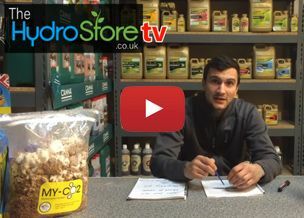 Hydro Store TV Episode 6 - Increasing The Quality Of Your Yields. Episode Six of Hydro Store TV. George is invited to a customer's grow factory and looks around the features of this Autopot based setup, pointing out some nice little features that help to make this a great setup. 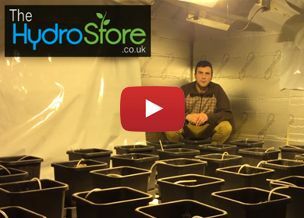 Hydro Store TV Episode 5 - Over Watering Young Plants And Options For Their Lighting. Episode Five of Hydro Store TV. 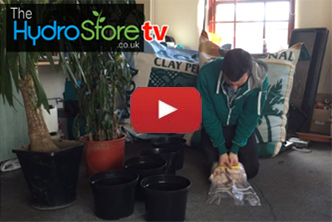 Hydro Store TV Episode 4 - Autopot AirDomes and 'Start' Nutrients. Episode Four of Hydro Store TV. Episode Three of Hydro Store TV. In episode three of Hydro Store TV George gives a guide to Plant Growth Regulators, more commonly known as PGRs, with a brief history and an explanation why they have been a divisionary product and why this opinion has changed over time. 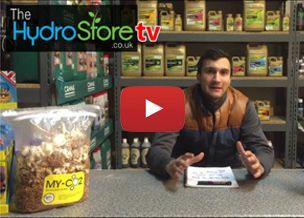 Hydro Store TV Episode 2, with George. In this episode George runs through solutions to avoiding or dealing with plant yellowing, the Dutch Master version of a 'Boost' and advice on whether to flower ( 'flick' ) your plants. Our very first installment of our new project - Hydro Store TV. We plan to post every couple of days questions and answers we receive in our West Yorkshire shop, on the phone 01422 883290, or the website. This episode gives wisdom on perhaps a subject not too exciting - pots! - and using Canna Rhizotonic as a spray. A Look At And Tutorial On The Imperium Feed Controller. George explains the intricacies of the Imperium feed controller by Nutriculture, which offer’s greater control over feeding duration and frequency to match each life-stage in a plants growth. A Review Of New Nutrient Enhancer, Moonshine. George reviews the new nutrient enhancer by Moonshine, and explains the What, Why and How about this effective additive. A First Look At The HyperFan Temperature Controller At The Home Grown Expo 2015. George gives a quick outline of the features on the new HyperFan temperature controller revealed at the Home Grown Expo 2015. George brings back some interesting information from the Home Grown Expo in Coventry on a new development in recirculating pumps by Custom Hydro, the 'Bubble Gen'. Autopot Easy2Grow Hydroponic System Tutorial, Tips and Tricks. 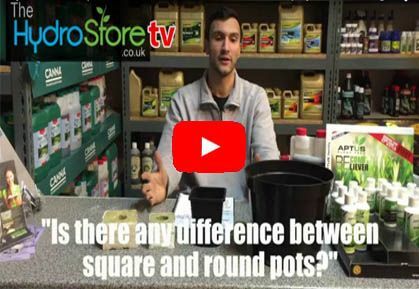 George runs through setting up a 12 pot Autopot Easy2Grow system, then rearranging the versatile unit to include some other size pots, giving some useful tips and tricks on the way... with a little help from Benny Hill! Filmed at the hydroponics room at the Incredible Edible, Todmorden.